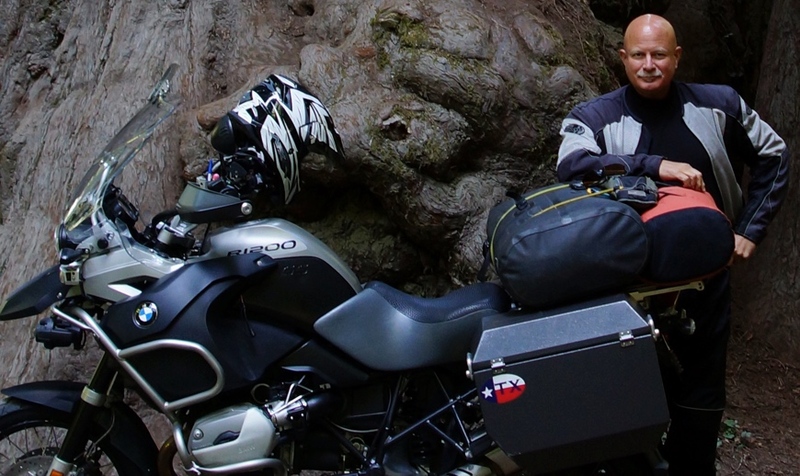 When David Hand acquired his 2009 model BMW R1200GS Adventure after retiring to Florida, 10″ ODYSSEY II panniers were already fitted to the bike. 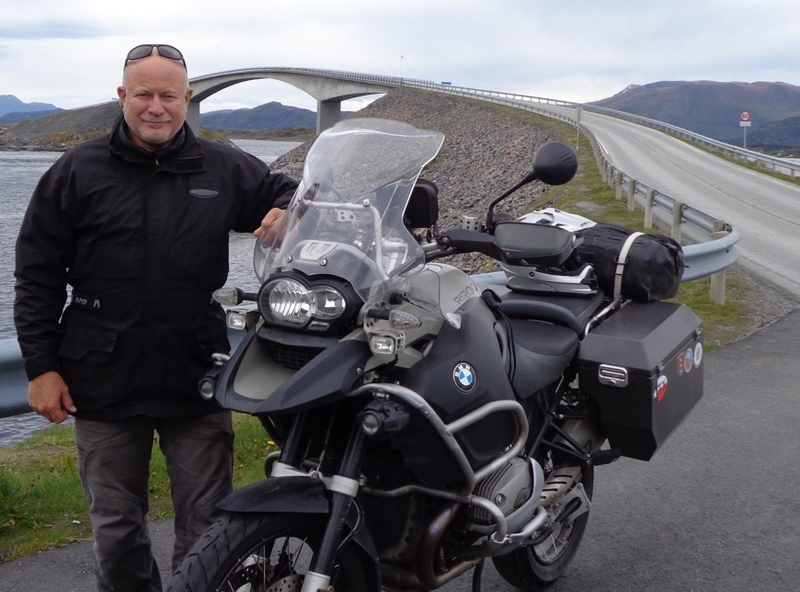 David has traveled extensively in North America and Europe, and in 2015 he rode through 31 countries in 13 weeks. What’s the most memorable experience from the last few years of motorcycle travel? Alaska – my trip to Prudhoe Bay along the 500-mile Dalton Highway north of Fairbanks was the most challenging (muddy and slick) and visually spectacular. I melted a tent in the exhaust pipe heat along the way and had to camp wrapped up in a tarp… I looked like a blue Mexican taco! What are your riding ambitions for the future? I really have enjoyed the ease of touring in Europe. If the current refugee crisis doesn’t complicate border crossings, I’ll continue riding in Europe for a few more Summers. Beyond that, I have ideas to ship to South America and let that Continent be the bike’s home base for a few seasons. What’s your favorite thing about your Jesse Luggage? They seem to attract beautiful women when properly installed! Oh, and the ruggedness is unbeatable.